Hi folks, as far as programming is concerned its a bit complicated word for some peoples. However on the other hand, some peoples can actually see the life through it. Peoples might find it really hard to learn programming languages while for some its the real fun. Nowadays, programming languages are frequently used for developing applications for personal purpose or communication purpose. Around 600+ programming languages are present. Selecting a particular language or any particular platform is really the toughest task for new bies, hold on a second.. it doesn’t mean I’m here to provide a solution though. I receive many questions like Which is the best Programming language ? or Which language is best suited for Hacking ? According to me, you should learn as many languages as you can. However, be focused on the first language you pick which can be random pick. Here, I’m sharing a list of few languages which should be available in the mind of programmer. If you skipped any of them no worries, at least in future try to get a taste of all of them. Before any other debate, let me clarify that I’m not arranging these languages in order of preference or choice but its random. 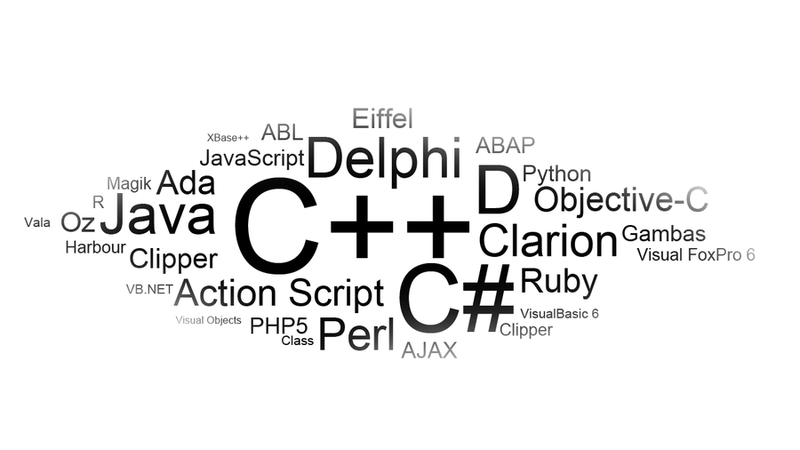 C language was developed in 1972 by Dennis Ritchie which was initially designed for Unix. Its a compiled, procedural language. C program are still very fast in execution however because of its platform dependency C programs need to compile with different architecture and operating system. This object oriented language was designed in 1995 by Sun microsystem which is currently owned by Oracle. Java is very popular among developers because of its security and platform dependency though the speed of execution is still not very impressive. Its large library makes it easier to build complex applications though you may can miss the freedom in code. PHP was originally developed by Rasmus Lerdorf in 1996 in order to create dynamic web pages. Being a server side language, its really powerful due to its flexibility and frequently picked by Hackers while performing various attacks mail spoofing, mail bombing and phishing. PHP folks keep updating their libraries and its really better since its version 5. Overtime it eventually grow up into a fully featured object oriented language. Android is getting popular these days because of its simple structure, open source and flexible nature. Since you can make cool and tricky features and can simply run them holding the in your palm. Android is really cool technology to hand out with for both career and fun. Python was developed in late 1980’s by Guido van Rossum intended for general programming purpose. In the early 2000, python actually gained popularity among geeks and now its fully accepted by many organizations like Google and Ubuntu. C# is mainly used of .NET framework intended to work with Windows platform. Its first preference for windows guys because of its huge library and java like similar programming structure. Ruby was initially developed in 1995 written by Yukihiro Matsumoto as one of the most object oriented languages. If you’re an object oriented nerd 😛 then Ruby is something you can simply neglect, here numbers and even letters can have method calls. Delphi has pioneered an era of rapid application development by introducing crucial features that have notably decreased application prototyping times. It has great advantages over Visual Basic both in terms of speed and library. Delphi can be used for writing some cool hack stuff like spy software and malware. If you ask me, I would say start picking all the languages one by one and get settled with the one you find most comfortable.